For anyone still thinking that mining coal and burning it to provide heat or create electricity (that is, mining thermal coal) is a good way to make a buck, August 2015 was full of bad news. First, Wellington’s Dominion Post newspaper said in an editorial that it was time for New Zealand to slash its coal use. Then, the same day, Genesis Energy announced that it would close the coal-fired power generators at the Huntly power plant by 2018. 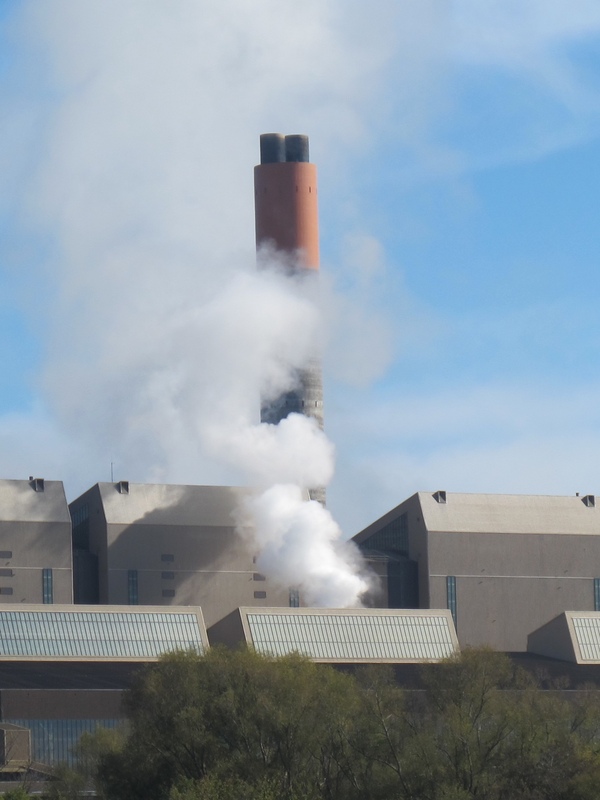 No more coal at Huntly … who’ll be next to abandon coal? But the writing was appearing on the wall even before these announcements. Not only had the thermal coal price dropped precipitately in response to the rise of renewable energy and environmental concerns in coal’s major markets, but there is a growing political consensus that thermal coal mining in New Zealand must stop. This consensus does not yet include the National Government. While Energy and Resources Minister Simon Bridges welcomed Genesis Energy’s Huntly decision, and noted that it created further opportunity for renewable energy, he conveniently ignored the Government’s continuing subsiding of fossil fuel mining and use and lack of support for renewables. When we met with New Zealand First, they advocated a similar position to the Labour Party: that is, they expressed continued support for coking coal, but agreed that it was time to move away from the mining and burning of thermal coal. But while businesses and political parties are moving to end the use of thermal coal, there is one large New Zealand company which is bucking the trend – and that, of course, is Fonterra which, as we reported last month, has increased its coal use 38% since 2008 and plans a further major expansion of coal-fired milk drying plants. Fonterra’s low-value-add, high-energy-input business plan is coming unstuck as global milk prices fall. It’s time for Fonterra to take another path. Though the political consensus is growing against thermal coal, Labour and New Zealand First are both continuing to back the mining of coking coal – that is, coal used for steel production – even though the coking coal price has also slumped, and burning coking coal is no better for the climate than burning thermal coal. You can read Cindy Baxter’s take on the shaky state of coking coal in her recent analysis of the state of play in the coal industry. The message to companies such as Fonterra is clear: by backing the increased use of thermal coal, you are on the wrong side of history, the wrong side of science, and the wrong side of a growing political consensus.